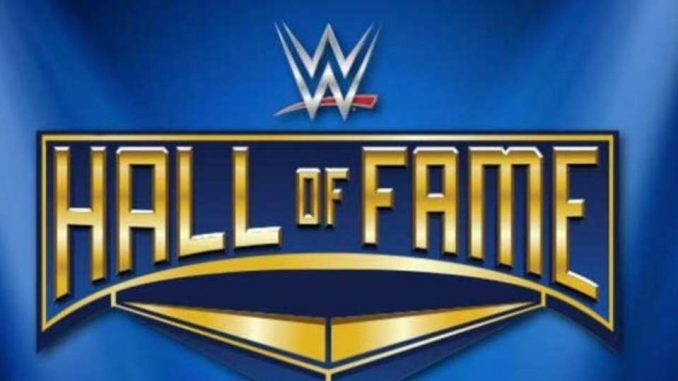 A report has come out on the first inductees for the WWE Hall of Fame this year, live streaming numbers of Halftime Heat, lots of notes on MLW's Superfight event, New Japan World feature on Wrestle Kingdom & lots more. **Wai Ting and I will be back tonight with Rewind-A-Raw to review the show from Portland, Oregon and go through lots of news coming out of the weekend and today. We will also open it up to your feedback that you can post on the POST Wrestling Forum once Raw ends. **Braden Herrington and Davie Portman have bonus edition of upNXT covering Sunday’s Halftime Heat presentation during the Super Bowl. They review the match with their thoughts on the presentation and how it came off. You can listen to upNXT every Thursday on the site and subscribe to their own RSS feed by searching upNXT wherever you listen to podcasts. **Wai Ting and I did a bonus show Sunday for members of the POST Wrestling Café with reviews of both New Beginning in Sapporo cards this weekend. **If you missed it, WH Park returned for POST Puroresu over the weekend to chat about the New Beginning cards, changes to NOAH, the news of Hideo Itami leaving the WWE, KUSHIDA’s farewell match with Hiroshi Tanahashi, his recent article on the ten best venues he has attended in Japan, the circumstances behind Taka Michinoku’s departure from K-Dojo and tons more. **It was first reported by Mike Johnson at PWinsider.com that the Hart Foundation will be inducted into the WWE Hall of Fame this year. Johnson reported that the unit of Bret Hart, the late Jim Neidhart and Jimmy Hart will be inducted at the Hall of Fame ceremony on Saturday, April 6th at the Barclays Center. Bret Hart and Jimmy Hart will join Ric Flair as individuals to be inducted twice. Flair went in solo in 2008 and as part of the Four Horsemen in 2012. Jimmy Hart was inducted in 2005 and Bret Hart in 2006. It was the latter’s first appearance at a WWE event since leaving in November 1997 after the two sides put aside differences to put out a DVD the prior summer with Bret’s involvement. **We have a story on the career of Les Thornton, who passed away on Friday at the age of 84. During his career, he was considered one of the top junior heavyweights in the world and was NWA junior heavyweight champion six times. **WrestleMania Axxess will be taking place from Brooklyn Pier 12 during WrestleMania week with sessions from Thursday, April 4th until Monday, April 8th. Tickets for the eight sessions will go on sale this Friday at 10 am Eastern, although there is a pre-sale on Wednesday beginning at 10 am using the password DOTCOM that runs until Thursday night at Midnight. Tickets are priced at $55 for general admission, $125 for VIP tickets and $190 for the Premium VIP tickets with children 2 years and under admitted for free. **The WWE revived Halftime Heat on Sunday during the Super Bowl with a live presentation from the WWE Performance Center and streaming across several platforms. The show consisted of a six-man tag with Aleister Black, Ricochet and Velveteen Dream defeating Tommaso Ciampa, Johnny Gargano and Adam Cole with Cole taking the Black Mass, the Dream Valley Driver, a springboard 450 from Ricochet and the Purple Rainmaker before Dream pinned Cole. The match went over 16 minutes and was a spring with high octane moves throughout the match. It had been reported that the audience consisted of friends and family of those at the Performance Center and had a different buzz than an NXT crowd where they were there to make the show as lively as possible and never stop chanting and applauding, which resulted in a hot environment. The live streaming numbers we had access to when the match ended, showed they had approximately 71,000 viewers on YouTube, 10,000 on Facebook and 5,000 on Twitter. The match also ran on the WWE website, WWE Network and the WWE app. Overall, I thought this was a great idea to try and opens the possibility of doing more live events from the Performance Center, although the atmosphere is a big component and they would have to open this up to actual fans if they did these throughout the year. The most appealing element for me was the low commitment of time with one match and everyone left happy. It’s an interesting idea to provide a big match with a different presentation by isolating it and building to a one-match “event” to make it feel special. Rather than air complete house shows on the WWE Network, you could air one match from the show that has a lot of interest, such as the NXT ten-men tag from Madison Square Garden in December. **With MLW running more live specials on Saturdays, it is going to cause conflicts for play-by-play announcer Tony Schiavone due to his football and basketball commitments in Georgia. This was the reason Schiavone was unavailable this past Saturday with Matt Striker calling the show with Rich Bocchini and Schiavone will not be available for the next live special in March. There were plans to incorporate Schiavone with a voiceover for the tale of the tape, but technical issues prevented it from airing. MLW is going to attempt to work around the logistical issues when it is possible. Schiavone is said to be under a three-year deal with the promotion. **The plan to have Pentagon Jr. and Fenix drop the MLW tag titles was first decided on last September. The original plan was to have them lose the titles in December and they announced the tag title match for the card in Miami, but then Fenix was injured, and they moved the match to Superfight over the weekend. **The company was not happy with one spot during the match between Ricky Martinez and Kotto Brazil when Brazil grabbed manager Salina de la Renta by the throat. We were told the spot was supposed to be Brazil pointing his finger at her when she attempted to interfere on the apron. The sequence continued with de la Renta spraying Brazil with pepper spray leading to the finish with Martinez winning. **Jeff Goodridge has written a great story on the late Peter Corneil, who performed as “Otto Bahn” on the Ontario independent scene. Corneil passed away two weeks ago at the age of 43. **Brandon Howard at Fightful has an extensive look at the WWE’s current level of popularity across numerous platforms. Howard will be joining us live this Thursday at 3 pm Eastern on the Café Hangout. **Ring of Honor has signed PJ Black after the performer started working dates for the company last November. Black had been working with Lucha Underground since its second season. **Cody, The Young Bucks, Hangman Page, Brandi Rhodes, and SCU attended the Super Bowl Sunday night in Atlanta. **Kairi Sane worked the SmackDown live events in Vancouver, British Columbia and Spokane, Washington over the weekend. On both shows, Sane teamed with Carmella to defeat The IIconics. **John Cena begins filming “Playing with Fire” in Vancouver today. Cena is in the lead role alongside Judy Greer with director Andy Fickman. The movie is a family comedy described as “a group of rugged wildfire fighters who meet their match when they rescue a trio of rambunctious children.” The movie is set to film in Vancouver until April and be released in March 2020. **New Japan World had added a two-part documentary on Wrestle Kingdom 13 to its service. The total run time is just under one hour focusing on the main talent on the show. **Chris Charlton will be on the English commentary for the two Honor Rising events at Korakuen Hall on February 22nd and 23rd. **MLW’s live special will be Saturday, March 2nd from Cicero Stadium in Illinois. The special will feature one-hour of their “Intimidation Games” event airing on beIN Sports from 8-9 pm Eastern. **MLW has also announced that Superfight II will take place Saturday, February 1st, 2020 from Los Angeles with no venue announced yet. **Fight Club Pro has launched their own on-demand service through Vimeo. The service is available for $10 per month with the Project Tokyo card from Korakuen Hall last month available to watch. **Johnny Gargano spoke to the Orlando Sentinel promoting Halftime Heat and shared his thoughts on the match with Ricochet from TakeOver in Phoenix. **The full card for EVOLVE 121 has been released for February 15th in Atlanta and airing on WWN Live: Austin Theory vs. Darby Allin for the EVOLVE title, Adam Cole vs. Shane Strickland, The Street Profits vs. DJZ and AR Fox for the tag titles, Eddie Kingston vs. Anthony Henry, the Skulk Scramble Match, Josh Briggs vs. Curt Stallion and a non-title match between JD Drake and Harlem Bravado. **The WWE stock closed at $82.51 on Monday. **Conor McGregor attended the Super Bowl in Atlanta and was seen all over the place carrying his child wearing matching purple suits. Braden Herrington & Davie Portman from upNXT are back with another movie review: The Inbetweeners Movie! The lads have a laugh and chat all about The Inbetweeners including their favorite moments from the series, Davie teaches Braden all sorts of British slang, they take your feedback… and more! John Pollock & WH Park chat the upcoming New Beginning shows, KUSHIDA leaves NJPW, Hideo Itami leaves WWE, NOAH is purchased, female performers in NJPW & more. John Pollock and Wai Ting take your calls and chat about the week in wrestling news including Dean Ambrose and Hideo Itami requesting their WWE releases. Plus, NXT tapes multiple finishes for Velveteen Dream vs. Johnny Gargano, NXT TakeOver: Phoenix thoughts, Ring of Honor, Impact, MLW, and a preview of this weekend’s NJPW New Beginning.